Unfortunately there is a limit of 40 places for the evening meal so please book early. If paying for the course by PayPal please include your PayPal email address in the returned Spring Course booking form. Ezra Shihan started Aikido in 1963 with Mr Fred Wainwright, who had practised at Hombu Dojo with O’Sensei just after the second World War. He also studied with Mr Ken Williams and from Noro Sensei. He first met Chiba Shihan in 1968, and studied intensively with him for over 11 years. After this he trained under Kanetsuka Shihan in the British Aikido Federation, eventually becoming the Chairman and Senior Instructor. Throughout this time Sensei also received instruction from Sekiya Sensei, Yamada Sensei, Tamura Sensei, Kanai Sensei, and Yamaguichi Sensei (who had a pivotal influence on the future direction of his Aikido). Ezra Sensei was awarded the title of Shihan in 2006, and 7th Dan in 2009. This year Ezra Shihan has been practicing Aikido for 55 years, with over 30 years as a full-time instructor. He opened his own full-time dojo (Komyokan Dojo) in 1990. Ezra Shihan’s aim is to bring both the philosophy and the practice of Aikido together as one. 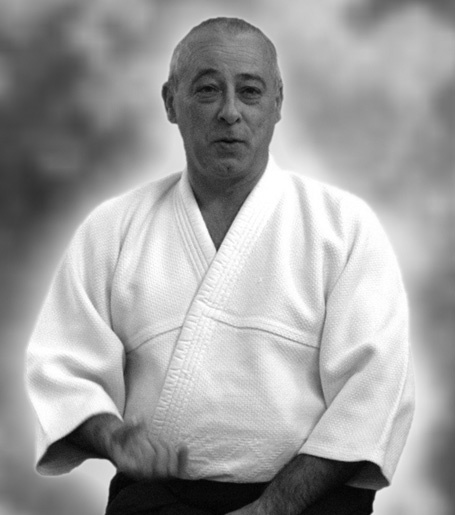 Nick Waites, the chief instructor of the Koteikan dojo. He has been a student and teacher of Aikido for over 40 years, during which time he has studied Aikido with many very senior teachers from all over the World. He is the most senior student of Terry Ezra, and the author of “Aikido, Iron Balls and Elbow Power” and “Aikido Body, Mind and Spirit” which explore a wide range of Aikido practice methods and concepts. Nick also studied yoga for many years in his youth, traditional Chinese medicine (he is a qualified acupuncturist) and some Karate, Judo and Tai Chi, although his main focus has always been Aikido. He was awarded 6th Dan in January 2013. He has taught Aikido in the Netherlands, Russia, Croatia, Abu Dhabi and many locations in the UK. Stevenson Sensei started Aikido in May 1989 in Macclesfield. She opened Matlock Dojo in 1991 but then moved to the Wirral to train with Ezra Shihan. She was awarded 5th Dan in 2013. Garmson Sensei started training in Aikido, weapons and Iaido under Ezra Shihan in 1995. He has extensively followed Ezra Shihan around the UK and abroad. He is a Senior instructor in the KAA and was awarded 5th Dan in 2016. Martin Sensei started Aikido in 1993 and has practiced with many influential Senseis, such as Kanetsuka Sensie. After being awarded 1st Dan in 2001 he began teaching at the Komoyakan dojo. He travelled widely with Ezra Shihan and was recently promoted to 5th Dan. There will be the KAA AGM following the course, all KAA members are invited to attend.